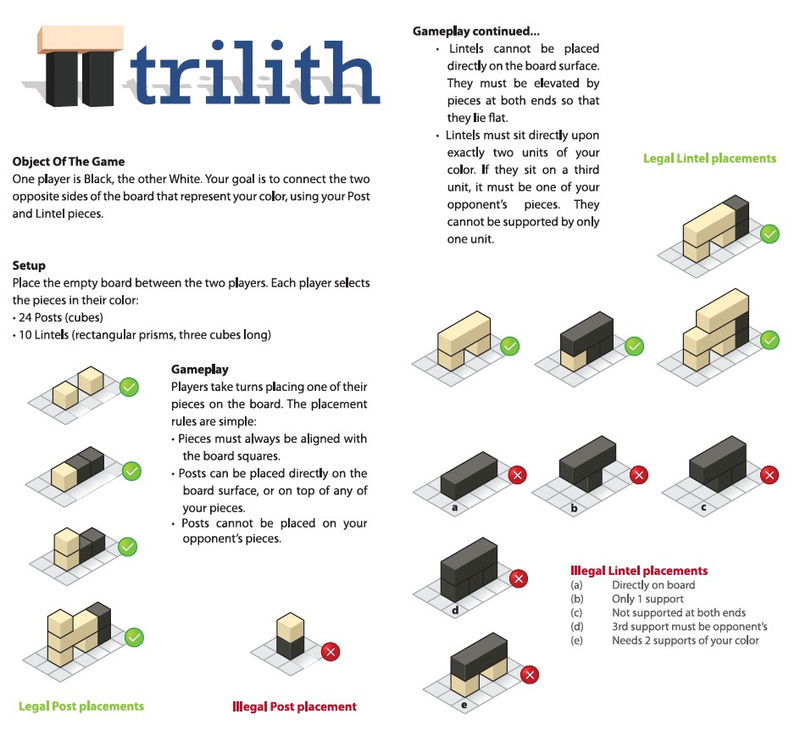 Trilith is a 3D connection game for two players, played on a square 9×9 grid board, with simple rules, complex strategy and cut-throat outcomes! A gladiator type competition between two opponents that will force you to outwit, outbuild and outmaster the competition in order to claim victory. 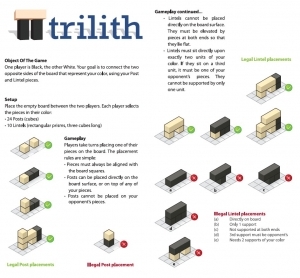 If you enjoy complex tactical play and the satisfaction of developing a winning game-plan based purely on strategic thinking rather than chance, Trilith is the game for you. Working with supplied photographs, the box was more of a design than illustration job for Bek. With support from Tracy and Karl in the Melbourne office, we came up with a clean, distinctive look that flowed through the entire package. We worked hard to make the instructions clear and concise and without ambiguity, supported by lovely clean diagrams of play that we created. The liner featured a disposable piece that held the playing pieces in place, reflecting the ‘T’ icon and the warring black and white sides. 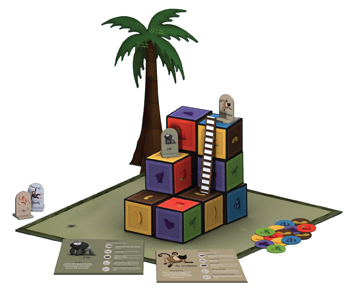 Our aim was to increase the “oooh!” factor as the game is opened, while creating functional packaging that would ship without component slippage and still be easy to pack away after a game. Pulling the shrink-wrap off the first production run, I reckon we succeeded! 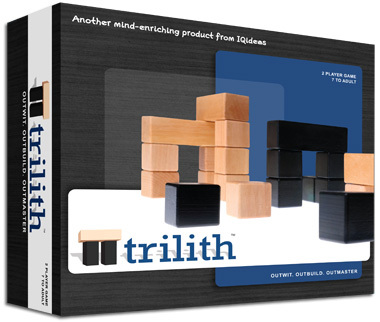 You can read more about Trilith at IQ Ideas.